Bee's Circus: 665. Daniel-Kyle's Room Tour. 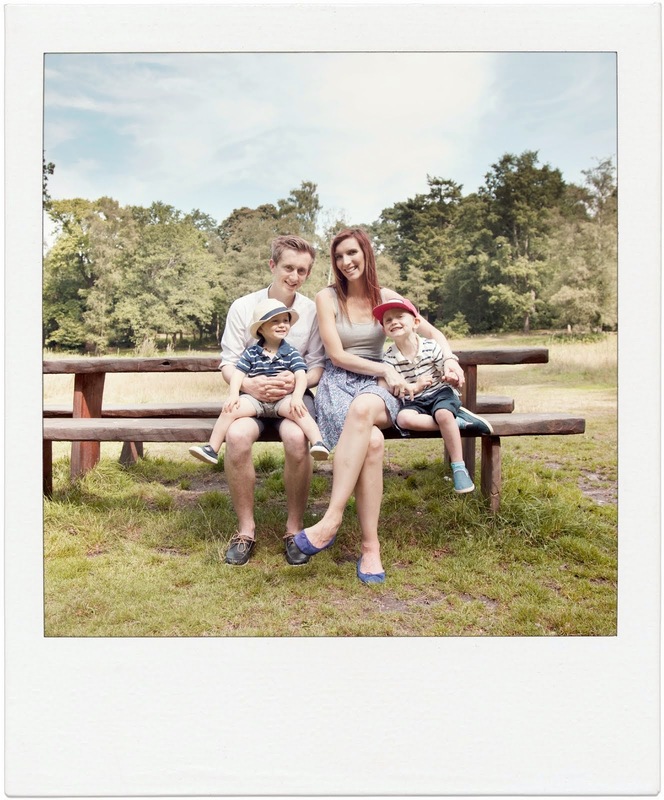 When we bought our house it was freshly decorated, in neutral colours because the original plan was to rent it out, which is totally fine because that was what we were used to & I quite like the blank canvas. 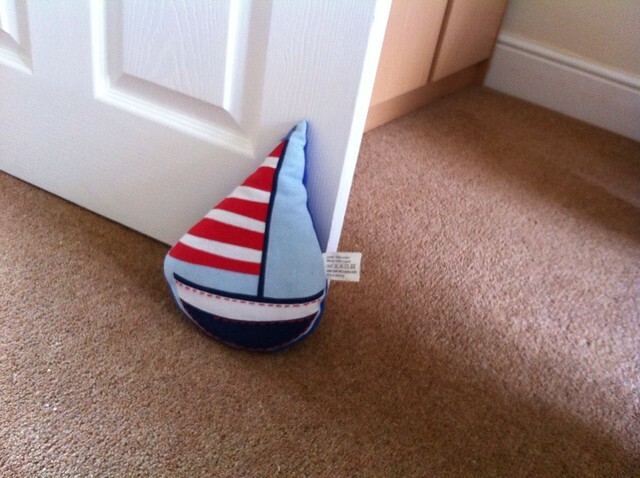 Daniel's room has a pirate theme, which I chose because it wasn't too babyish and could grow with him. It's a pretty big room (Joshua drew the short straw being the baby, and has the box room, I'm toying with the idea of having them share eventually but we'll see) so quite a few of his bigger toys are up there - puzzles, Larry the Ladybird and the activity table, for example - to keep downstairs looking a little tidier. The boys play up there quite a lot in the mornings, while I'm getting ready and sorting washing and things, and Daniel has recently taken to going up there by himself, to do puzzles or read books in peace I guess! 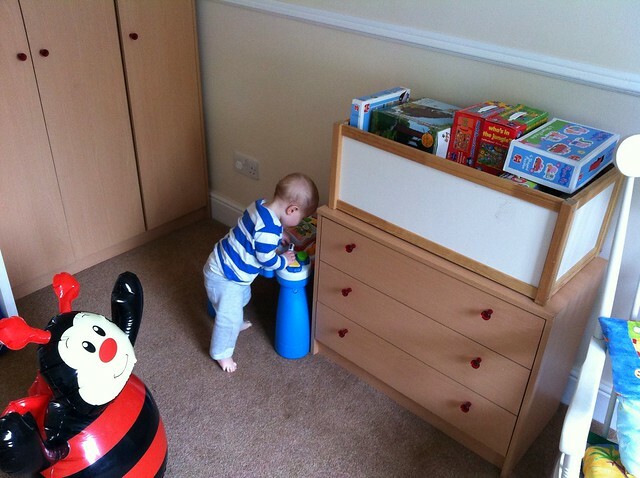 I realised after uploading these pictures there isn't one of his bed, but that's just opposite the bookshelves, and it's just a pretty standard toddler bed with Pirate George bedding. 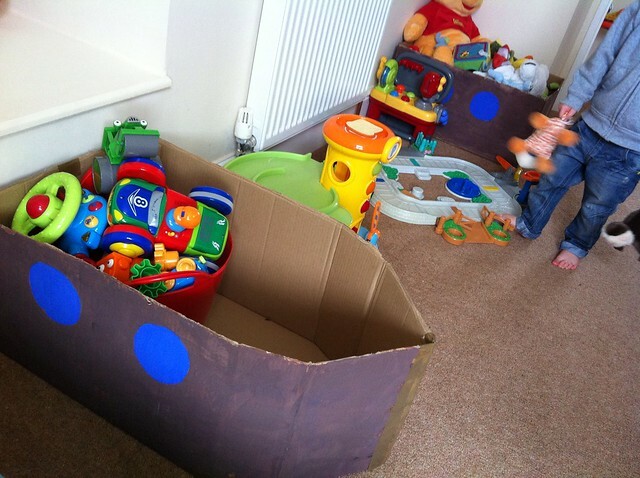 His toys are kept in the cardboard 'boats' I made for his birthday party, to keep things tidy and in with the theme (plus they're huge so they fit a lot in!) 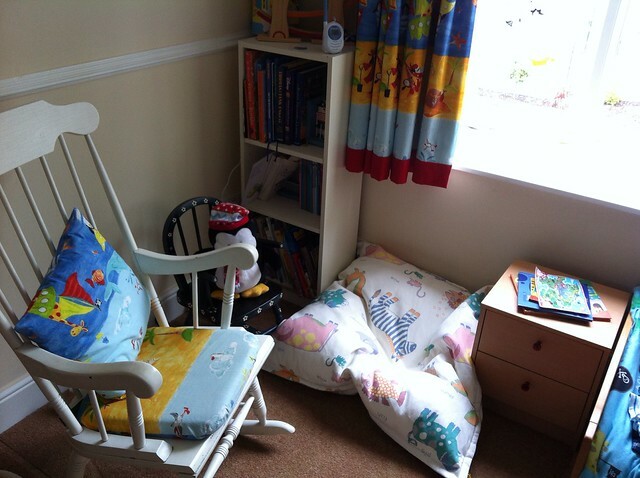 We have a reading corner, with rocking chairs, a bean bag, and a completely full bookshelf - we love to read! 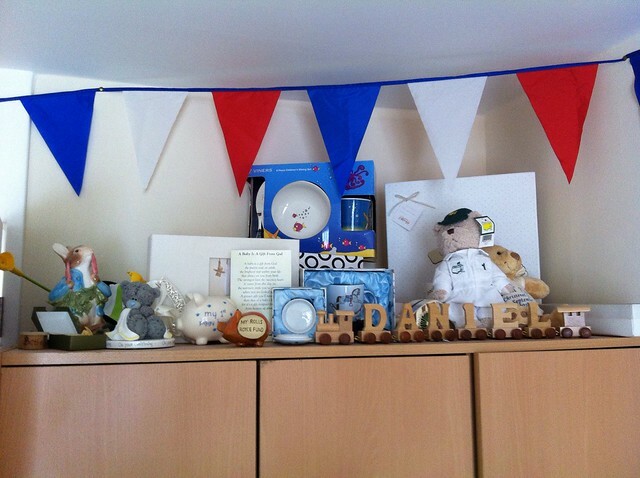 On top of his wardrobe are keepsakes, money boxes and Christening presents etc, to keep them out of reach of little toddler fingers! 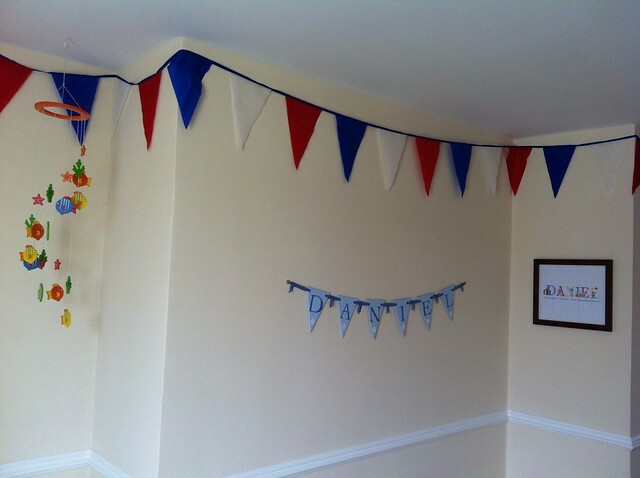 Bunting is strung around the walls, and I have a fishing net to put up too, somewhere!